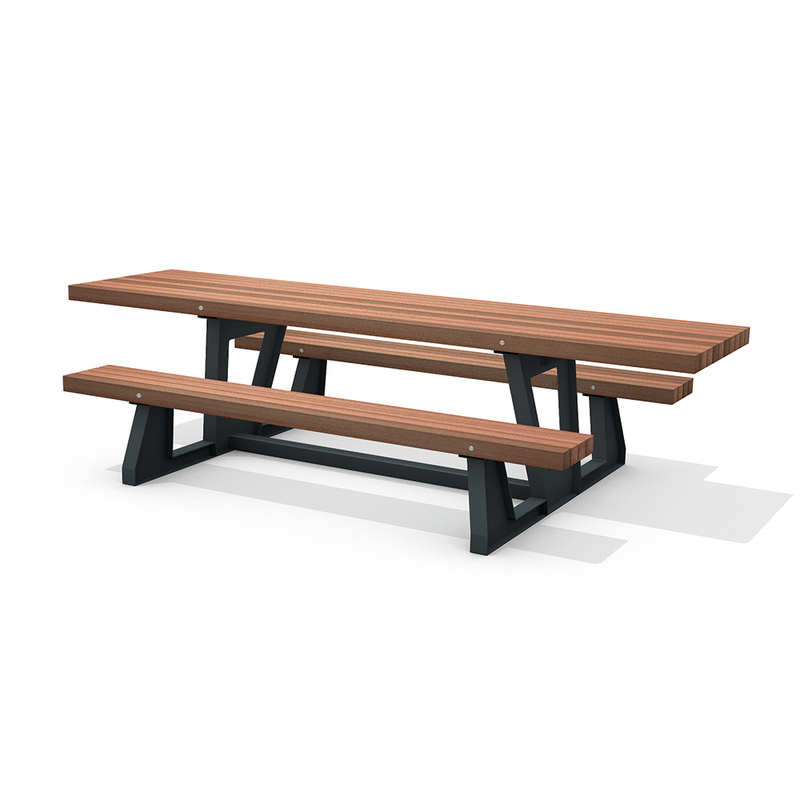 The Solid Industry Picnic Set has a cool, sturdy appearance thanks to its slanted industrial-look supports in anthracite grey. 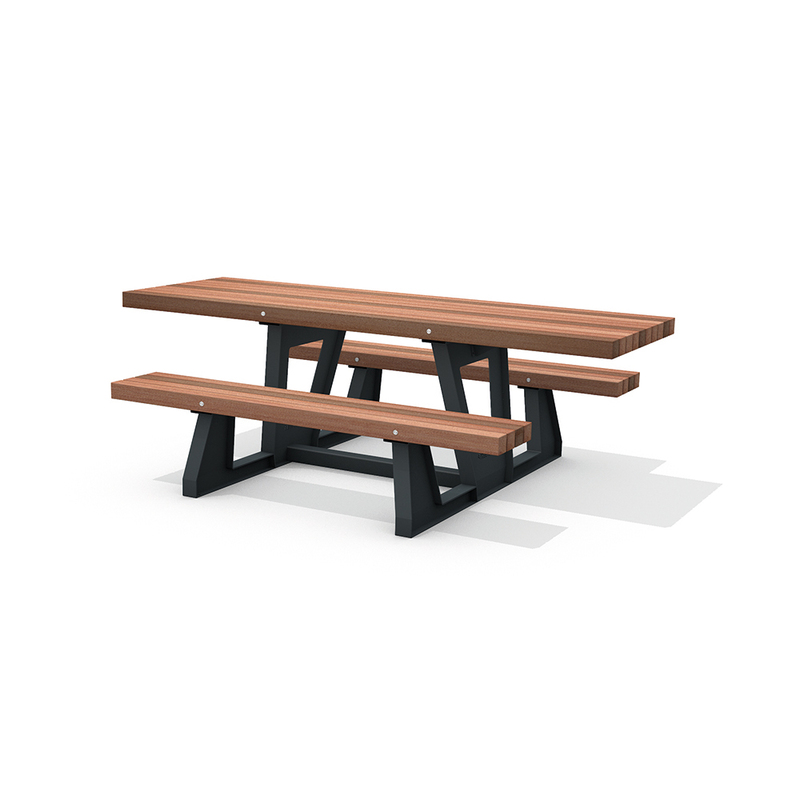 The beautifully designed sheet steel supports give a nod to the traditional casting used in industrial workbenches. 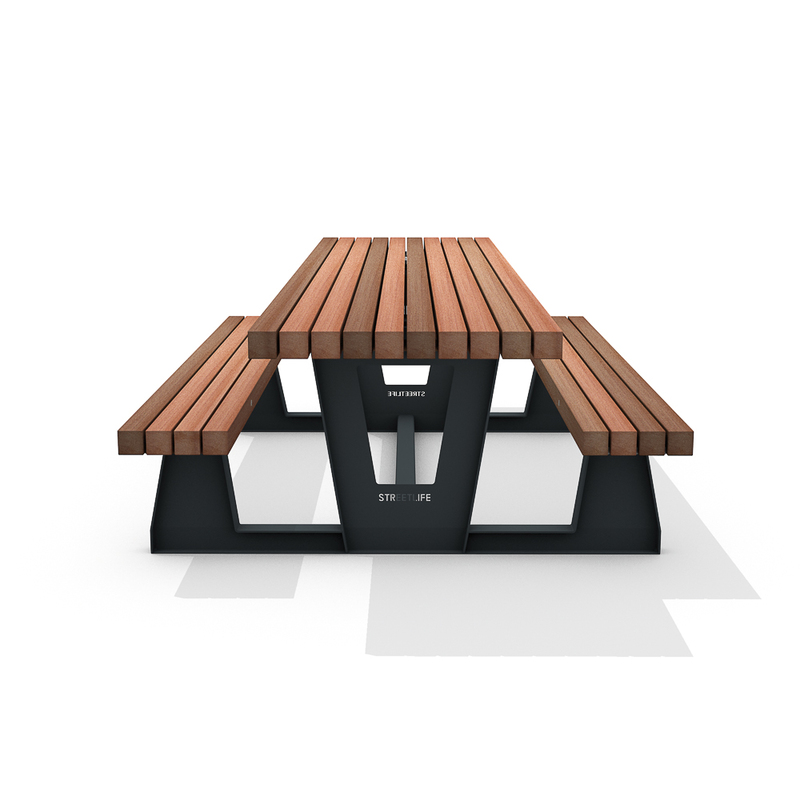 The FSC® hardwood is a multi-coloured red-brown. 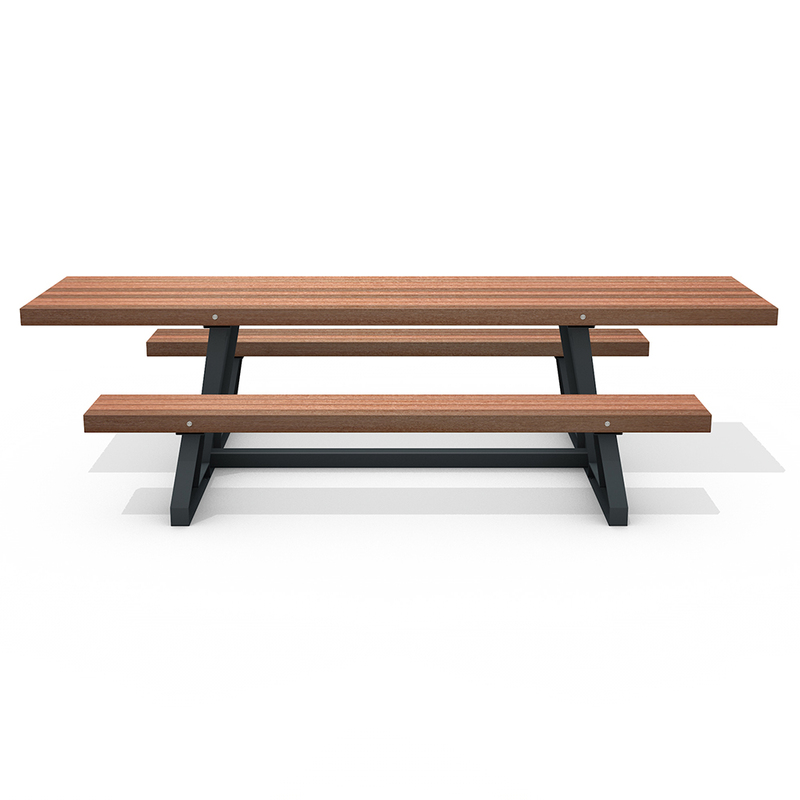 The 4-slat seating module (30 cm deep) and 10-slat table top module (77 cm deep) are mounted on the stainless steel Streetlock® system, which extends the set’s lifespan considerably thanks to the ease of replacing the slats. De standard depth is 160 cm | 63"